Flail Collection Mower TIGER engineered to help professional municipality and sport courses contractors to cut, verticut and collect. 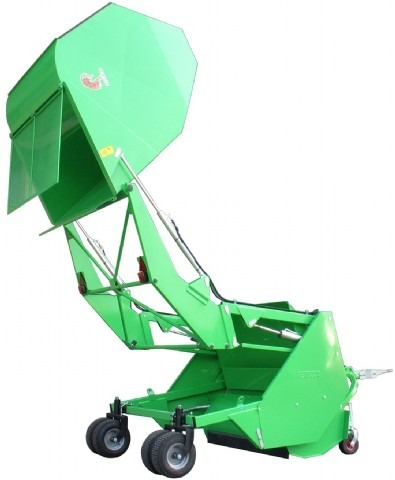 Supplied with large capacity collection with 235cm / 238cm” high discharge. 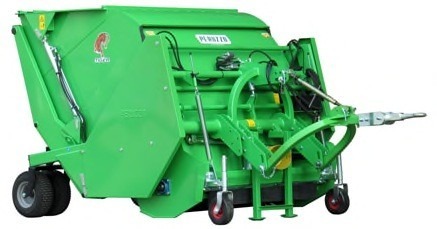 The cutting head follows uneven grounds floating on any direction to cut and verticut independently from machine frame allowing a perfect maintenance for the most exigent Greenskeeper. The Tiger mower can be easily transformed into a sweeper in a few steps by sliding out the brush frame. Front castor wheels adjustable in height. 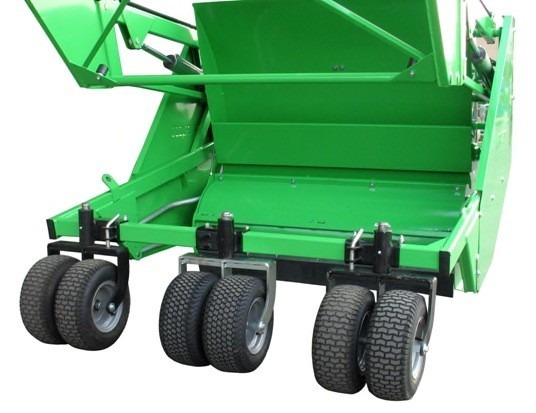 Mechanical draw bar for better maintenance on turning operation and easy cutting around obstacles or verticut without damaging the ground on turning. (Available for upper or lower tractor towing point). PTO shaft to use with draw bar for 60° turning. Electric 12V system to check the container loading with switch box. VERTICUT BLADES 3 mm thick. DOUBLE REAR TIRES Wheels to add in case of maintenance on soft turf as golf courses. SWEEPER DECK Sweeping system with brush.